I have wonderful news for you all. 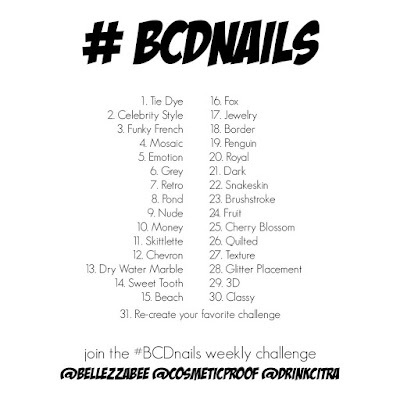 This year I am embarking on a nail art challenge designed by myself with my two other nail art buddies; DrinkCitra and CosmeticProof. We had this art challenge in the works for sometime as we were navigating the challenges of life but this year we are determined to get through it together. So the concept of this challenge is that each of us came up with ten different designs we wanted to accomplish and the last one is to recreate your favorite. 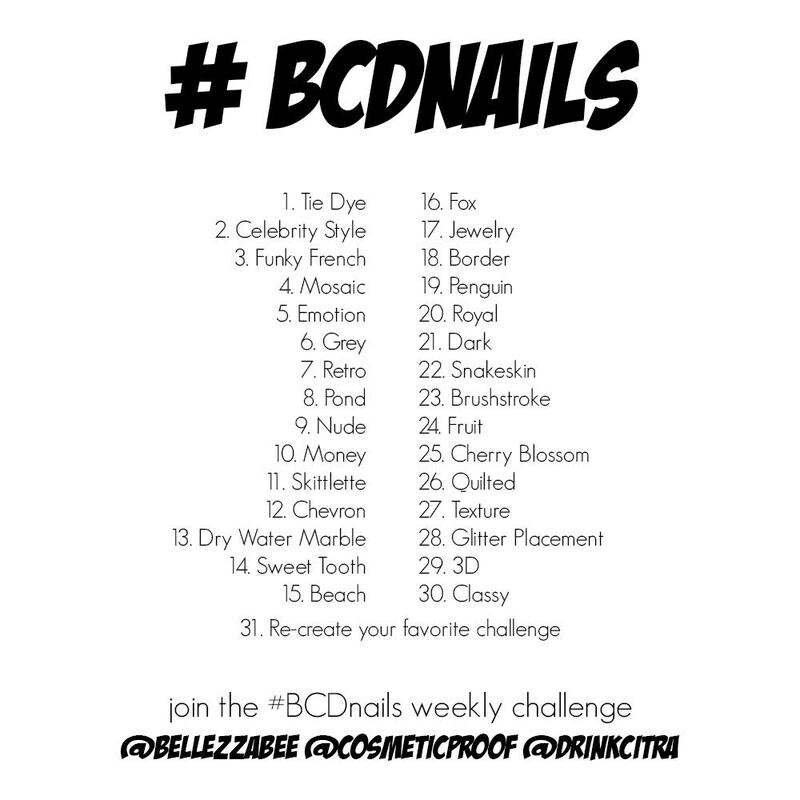 Use the hashtag #BCDnails to tag your designs on your social media accounts. We would love for you to join in with us!